We now know quite a lot about the sets that will be released by the summer this year, but not much beyond that and personally no matter how much information I know, I am always impatient for more and love speculating about what the future will hold. With that in mind, I thought I’d create a thread to take a look at some of the current themes and speculate as to what they might offer next year. For some themes, like Architecture, Minecraft, Speed Champions, Bionicle, Duplo or Technic, I simply don’t know enough about them to make speculations but I’d love to hear your thoughts. I don’t have any inside knowledge at all, these are just my own speculations and I’ve tried to think realistically rather than just making a wishlist. City – No doubt we will see more of the perennial Fire and Police, but what kind of new twist could they add to this after Forest fire and police, Swamp police and Prison island in recent years? Maybe it will just be regular urban police and fire. In terms of other subthemes, we have had several adventure-type subjects recently with Space, Deep Sea, Arctic and the upcoming Volcano Explorers. This summer has Airport and Stunt Show sets too. Past subthemes that I think are well overdue to be revisited are Farm (last seen in 2009/10) and Hospital (2 medical sets last in 2012). It’d be cool to see a new updated hospital set using newer parts like the x-ray tile, head bandage, crutch, wheelchair. I’d really, really love to see more civilian buildings like a school, or a Leisure or Beach subtheme like that of the early 90s but I have no expectation of this whatsoever as TLG has consistently offloaded this kind of subject matter to Friends. DC Superheroes – 2017 could be a massive year for DC Lego sets. There is the Lego Batman movie in February which will undoubtedly have a wave of sets. My guess is that these sets will probably feature classic Batman characters (Robin, Joker, Batgirl, Catwoman, Riddler, Ivy etc. ), and maybe this is why in the summer 2016 sets we are getting such a fantastic range of possibly more obscure characters (Blue Beetle, Killer Moth), to balance things out? In terms of the DC expanded universe movies, there is Wonder Woman [June] and Justice League Part 1 [November]. I imagine the latter will get sets, judging by the three that Batman v Superman got this year. I would love it if Lego went out on a bit of a limb and did at least one or two WW sets, but from what I’ve read the toy merchandising for films with a female lead are historically tricky and also the film is set during WWI so I don’t know whether it might be too military for TLG to broach. I’m also intrigued to see if anything will come of the DC Super Hero Girls line that was announced back in April 2015, with Lego sets “to follow”. This would obviously be a minidoll line, but I think a small wave of 5 or 6 sets for this theme could be supported by the market alongside Friends, Elves and Disney Princess (both of the latter usually tending to have only small waves too). Everything I have said above obviously doesn't include any potential standalone comic-based sets. Like I said, it could be bumper DC year. Marvel Superheroes – There are lots of potential films to base sets on. Wolverine 3 [March], though this is a Fox production and therefore unlikely to get sets; Guardians of the Galaxy Vol. 2 [May]; Spiderman Homecoming [July]; Thor: Ragnarok [November]. Would love to see a few more GotG sets though I guess it depends on the vehicles and locales featured. Spiderman seems pretty inevitable, especially if other MCU characters show up such as Iron Man. I would love for a Thor movie to finally get some sets of its own. This third outing is said to be less dark than the last one and also features Hulk which could make it more marketable for toy lines and possibly provide an elusive Bruce Banner minifig. I’d to love see another X-men set, with Jean Grey and Professor X. My biggest wish is for a Xavier’s School for the Gifted D2C. I don’t know anything about the cartoon series that some sets have been based on in the past, so potentially there could be sets featuring characters from that too. Disney Princess – More of the same, I imagine. A small wave, probably some repeated characters mixed with new ones. Please please please Snow White and Pocahontas. Possibly more Palace Pets? Elves – I would love for it to continue but I don’t watch the cartoon episodes and I’m not sure how the story progresses on from rescuing the queen dragon from the evil witch. Maybe there could be more fantastical creatures such as centaurs or unicorns? Friends – I have no idea on what themes could come up next. I’d guess it to be a return to classic Friends fare like a bakery/cafe, shop/salon, house etc. after the summer’s amusement park sets. Possibly there could be a sports or hobbies theme again? Pirates – Seems to have only the chess set currently, after a short wave in 2015. Possibly further planned waves were affected by the Ninjago sky pirate wave? The next Pirates of the Caribbean movie Dead Men Tell No Tales is out in May 2017 and could possibly have a few tie-in sets, as Disney is an established LEGO partner. The previous outing in 2011 earned 9 regular retail sets covering previous movies as well as the one being released. I can’t see what else they could cover from previous films apart from rehashes but possibly the new film could merit a one-off small wave of 4‑6 sets, like Angry Birds, Scooby Doo and Jurassic World. Pirate ships seem to be popular and the premise of the film (a quest for Poseidon’s trident) could possibly allow some cool Greek mythology style theming? That’s my hope anyway. Scooby Doo – I think this looks like a one and done theme. I can’t see what more sufficiently different sets they could do, or what minifigure variants. I can’t really even see this possibly continuing on only under Dimensions, as the most iconic figures and the Mystery Machine have already been done. Maybe Velma or Daphne could feature as a fun pack? Ninjago – Not sure where this will go next, it’s not one of the themes I avidly collect. 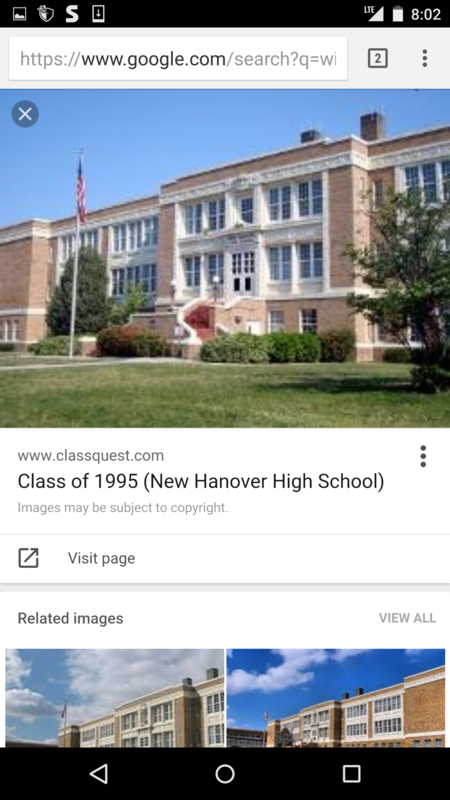 The movie is out in September 2017 and apparently shows the heroes in high school, so maybe there will be a school, a training dojo, harking back to the very first sets? Nexo Knights – No idea other than that it will surely continue to have a large range of sets as the latest ‘big bang’ theme and probably will cross over to Dimensions, like previous in-house themes Ninjago and Chima. BTTF – I can’t see what else can be done with it now they have done the iconic vehicles and characters. Dr Who – There are plenty of Doctors that could be covered -a David Tennant doctor would be amazing – but again the most iconic enemies and the TARDIS have already been done so not sure what the future could hold. Ninjago –Possibly some movie related packs? Midway and Portal2 – one-off IPs most likely. Jurassic World – I can’t see what more could be done with this theme, until the next film in the franchise is released in 2018 but possibly there could be scope for a Jurassic Park level pack featuring the classic jeep. The Lego Movie – Probably will be replaced by Lego Batman Movie. The sequel is slated for 2018. Maybe a Lord Business or Vitruvius Dimensions fun pack could be released? LOTR – Possibly could have more packs but seems unlikely to me. Wizard of Oz – Totally underused IP. Surely they didn’t acquire the IP for the game with the intention of only releasing one physical set of the Wicked Witch? We need Tin Man, Scarecrow, Cowardly Lion and Dorothy, and her little dog too!! I would love for there to be a single regular set (Yellow Brick Road) backed up by one or two Dimensions packs but I’ll settle for just Dimensions if they do the four main characters. DC Superheroes –some characters from the Batman movie will probably be included in Dimensions. Supergirl and Arrow are already heavily rumoured for later this year. Teen Titans Go are also likely based on the “TTG” in the leaked list. With several of the IPs possibly not continuing on in Dimensions there’s plenty of room for new ones. Sonic the Hedgehog is one I’ve seen mooted as well as Mr T and A-Team (or Adventure Time) based on the initials in the list leaked in September 2015. The ones which are still a mystery are “MI/KR/GR/ET”. Harry Potter and Fantastic Beasts are pretty certain to get Dimensions packs too, whilst an actual line of regular sets is allegedly not happening this year. I’d love to see both of these getting sets though, so I’m crossing my fingers and wishing really hard. So what about completely new themes? Nexo Knights’ fusion of futuristic and castle motifs makes it tricky to try and second guess what route they could take for an in-house theme as it has a broad scope. But I think there is room in the schedule for a new Lego in-house single-wave theme – maybe a historical one? I think an Adventurers style ancient history theme with Romans or Egyptians could be great but who knows? Lego has so many themes these days it’s hard to think of a genre they don’t already cover! Other potential licenses – Well, Cars 3 is out next year... There is a Power Rangers film too, which could provide a multi-generational appeal but I’m not sure of the ownership situation for the IP. I don’t know what other cartoons and such kids are into these days... I’m sure there will be some interesting surprises though, since I don’t think anyone saw the likes of Angry Birds coming!! Well done if you read all that. Now let’s hear your thoughts! 2017 speculation already? August will tell ! I would LOVE a Wizard of Oz theme. A Munchkin village, Emerald City, Haunted Forest, Yellow Brick Road etc. So many possibilities. It's times like these that I wish my MOC skills were better so I could put something on the Ideas website. Nexo Knights have been thoroughly enjoyed in my house so I'm excited for what the future brings. I am secretly hoping the Fantastic Four will return to Marvel within the next year both because I want both a proper F4 movie but I also want some F4 sets to be made badly. @chubbles - Fantastic Four would be cool. What is the licensing situation like with that? How long before the rights would revert if no deal was struck like with Sony for Spidey? I'm pretty sure as long as Fox is producing a film they keep the rights. Marvel has been playing hardball with them for awhile, kind of ignoring the F4 in comics ( I believe they don't have a current ongoing series at the moment). I am really hoping Spiderman nets Sony some big profits because then Fox would jump all over a similar type deal. I just can't see them fully giving the rights back and then watching Marvel/Disney print money with that franchise. Following the drubbing the F4 reboot got, it seems the sequel got shelved and Fox seem to be placing all their bets on X-men and Deadpool spin-offs, so I wouldn't be suprised if they just let F4 slide, or try and do a Sony and 'license' them back to Marvel somehow (assuming the new Spider-man movie and deal works out well). As for dimensions MI/KR/GR/ET. How about Mission Impossible/Mystery Inc, Knight Rider, Ghost Rider, and ...E.T. There's still life in the old dog yet, I think! They could easily add smaller playsets focused on some of the larger mobs, similar to The Iron Golem. I'm looking forward to the release of LEGO: A Journey Through Time in late 2017. Each set is the same price and size and contains a thin booklet, two minifigs in period dress and a smallish, on theme, build. Six sets in initial wave: American Wild West, Medieval Europe, Roman Empire, Ancient Egypt and Colonial America. A set of CMF to be released may 2018 alongside the next wave of six sets. That would be cool @Kevin_Hyatt. Is it something you would like to see or have actually heard specific info about? I also want some F4 sets to be made badly. Just fantasy in my head! Bionicle: The theme was announced with a three-year plan, with the possibility of extending it if it was successful. I have no reliable insight into its success, but I can say that each year's sets have been headlined with a different legendary mask in the branding and logo. As such, next year's sets will likely feature the Mask of Ultimate Power and/or the Mask of Time, both legendary masks that have been featured in the rebooted story so far. The latest graphic novel (released yesterday) was the first to show a non-placeholder image of the upper half of the Mask of Time, which may indicate that a plastic version has been designed and is in the works. Ninjago: Next year will likely be a huge year for Ninjago, because of the Lego Ninjago Movie planned for release in the fall. I don't know what this will mean for the winter sets (which could possibly tie in with the upcoming movie, continue the Sensei Yang story arc from half of this summer's sets, or introduce an entirely new story arc), but chances are the summer sets will tie in with the movie. This may include a Collectible Minifigures series like the Lego Movie had. DC Super Heroes: It'll be interesting to see whether next year's Super Heroes sets will be branded as such or if they are branded with The Lego Batman Movie logo (perhaps both, or one or the other depending on the set contents). Again, a Collectible Minifigures series may be possible. Nexo Knights: This theme will almost surely be continuing but no telling what direction it will go. The Book of Monsters book includes not just lava monsters but also sea monsters and forest monsters—it's possible that those indicate potential new factions in next year's sets, but it's far from a certainty. Until this summer's TV episodes air there are no clues as to how this year's story will be resolved. For Speed Champions I would love two things: a larger variety of cars (they haven't done a single Japanese car and there is hugely untapped potential there), and a proper, i.e. COMPLETE WITH RACING BASEPLATES raceway. Something akin to Victory Lap Raceway from the 80's, but with a complete track, stands, etc. For Doctor Who, I actually think a CMF line would work. There are 12 Doctors, plus the War Doctor. If we go off of the new Disney line, they could expand it to 18 and include some adversaries, such as a Silurian and a Sontaran. I'd offer up more, but sadly I am not well versed in Classic Doctor Who. The Speed Champions line intrigues me. The first two waves have been mainly focused on sports car racing with a little F-1 thrown in. The second wave opened up licenses with American originated car companies though. Perhaps incorporate IndyCar or NASCAR? I for one would love for them to do a start/finish line set of Indianapolis Motor Speedway with the pagoda. I doubt it'll ever happen, but one can dream. The rights are complicated, to say the least. I tried to get to the bottom of it once upon a time, but the details I got were conflicting. Certainly Fox has no idea what to do with the FF at the moment, so they may be prepared to sell them back (they certainly have their superhero hands full what with how the X-Universe is doing right now). A lot of these came from here. More like 42056: Porsche 911 GT3 RS, depending on which IP they have. Trains - Either a Creator Expert steam train akin to Emerald Night or possibly a Creator Expert breakdown train. Pirates - An Imperial Frigate type ship to face off against last year's pirate ship (note the ship lurking in the background in the box-art of last year's pirate ship). City - Yes, I think a hospital is overdue, and would thematically fit with this year's Ambulance Plane. Farm is also overdue and would link well with the cattle-wagon from the recent blue cargo train. Farm theme could possibly include sets like a crop-duster plane with fertiliser-loader truck, a cattle-truck road-train and a new combine harvester . I'm trying to think of farm set possibilities with significant play-features: Possibly a modern rotary milking shed with milk tanker truck? Still deciding whether I want the current Dr Who set, but I would love a CMF or small vignette series to collect all the doctors plus classic monsters. more licensed stuff and a couple of left-field jobbies. This time it's DESERT police. Woo! Catch the crooks in the hot hot sun. Lego do a Tesla Model S, a massive Technic A380 and a Tunnel Boring Machine. £300 each. Anyways Colonel America name is probably trademarked by Marvel. I'm just gonna use this opportunity to pitch Marvel Zombies. Halloween 2017 would be nice. Halloween 2018 would be cooler. 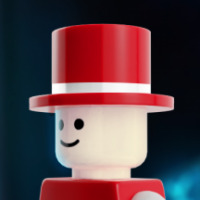 Uncle Sam in a minifigure series pack next year. Aunt mays house for the Spider-Man movie. Surely he lives there and MJ is next door. Count me in for wanting more Wizard of Oz sets. I think an Emerald City would be amazing. I wonder since LEGO had the license for Harry Potter if they will do any sets around Fantastic Beasts. I do hope they keep the Elves lines going - I love the creativity in those sets. I would also like to see Friends expand into other areas - why can't they have their own police department? Yes please for fantastic beasts and harry potter play sets! I don't think we'll get HP Lego from FBAWTFT. However, from the teaser trailer I can see a few possible sets: there's a boat, a bank, a station, some kind of prison and underground labyrinth, the wizarding headquarters and an apartment (which either gets trashed or is a replacement for the trashed one). Distinct lack of vehicles though. MARVEL - We know so far that there's still one final set for Civil War to be released, three Spider-Man sets & one for Doctor Strange to round out 2016. Heading into 2017, there's Guardians of the Galaxy 2, Spider-Man: Homecoming & Thor: Ragnarok. GotG got three sets, so we will hopefully see at least a few to tie in with GotG2. If so, we could see Nathan Fillion in minifig form as he has been officially announced as playing Simon Williams/Wonder Man. With Spider-Man, we'll probably get some sets and some of these may actually tie in with Homecoming thanks to the new Sony/Marvel deal (basically, Marvel directs and produces the films, Sony handles the financing and distribution, with Sony having finally word on content). The Thor films so far haven't had any sets, but we can hope that the GotG & Ant-Man sets that have been released were successful enough that TLG wants to produce sets to tie in with Ragnarok. It would be nice to have minfigs of Odin, Heimdall, Lady Sif and the Warriors Three. Unless Fox comes to some deal with Marvel (unlikely, as it has been said Marvel has an all or nothing attitude toward getting the rights back from Fox), Marvel will continue its war of attrition against Fox. So, we're not likely to see any more X-Men sets any time soon, nor any FF stuff too. The desert police idea could prove true, they hinted at it with the dune buggy/police truck helicopter transporter. I expect a revamp of the classic city police line first though as the current station is getting long in the tooth. Then maybe a variant like desert in 2018. Or how about Arctic police for all the crimes that must be stopped there? My picks for modulars for the next two years are Natural History Museum - largely because a very good Lego Ideas Natural History Museum was relatively recently rejected and I'm thinking that, like the Ghostbusters' Firehouse, part of the rejection thinking was that Lego already has one in the pipeline - and a modular hospital which can utilise the new wheelchair, crutches, head-bandage etc as was mentioned above. I'm picking that there will be a Lego city hospital first, with a modular hospital the following year. Continuing my thoughts from above: A regular modular-sized Natural History Museum (N.H.M.) would scarcely be big enough. A novel solution would be to intentionally design it to be able to be mirrored with removable wall-sections to make two basic N.H.M.s into one bigger one, with a polybag available with alternative interior museum display-pieces for the second build. This would mean the piece-count and cost of the basic N.H.M. could be kept down, while intentionally creating an option for a more substantial N.H.M. The polybag could be free when purchasing two N.H.M.s at once, as well as being independently purchase-able for those that want to have variety in their single N.H.M. I Think that LEGO needs to relaunch HERO Factory either in 2018 or 2019 period! Star Wars- Episode 8 sets, depending on the popularity of the sets/TV show more Freemakers sets, SW Rebels and random bits here and there. Marvel- I would love to have some well done Thor Ragnarok sets as well as some Doctor Strange sets. Deadpool is due an appearance on LEGO sets. Lego City- you know, a Hospital would be nice. @Lordmoral, unfortunately, until Marvel gets back the movie rights from Fox, Deadpool, like X-Men & Fantastic Four, is incredibly unlikely to happen. Was there any product revealled on the DC-Friends/Minifigures? What was this that might have revealed something? As for Modulars a Proper Museum which is generic would actually fit in rather well. Old style building multiple floors and plenty spaces to put in smaller items - doesn't need to be based on any Museum in particular mind you. Nope, I think that's a 2017 thing. I was referring to this, but I inadvertently found the most recent press release. Isn't this in the latest Ideas review? What? No? There wasn't a DC Super Hero Girls project. If they are going to do that, then I'd like them to do more Cyberman. And re-do the Dalek, as a couple of moulded pieces (like Medusa's tail for the base / the Character Building series). And have a Davros version with the same base but torso top. ^ Yea. Been wanting museum so those ladies from Research Institution can have somewhere to work. The New York Museum of Natural History, of course, with the whale ! Well, we've received a couple of X-men sets, and we did get a Deadpool, so it's not too farfetched that we could get a FF set. I honestly think that Fox should do the same with FF that Sony did with Spiderman. A Disney/Marvel written/directed FF movie would be everything we ever asked for from the previous 3 disasters. They can keep the X-Men, they're doing fine with the movies. I'm definitely on the look out for a new series of maybe 4 to 6 sets, similar in size to the Scooby Doo sets. Some X-Men sets would be awesome as I've missed the previous ones. Or something unlicensed, like a slightly more grown up version of pirates that what I remember from when I was younger. I'll add to what other people have said about a hospital. Seems well over due - either as a City set or ideally as the next modular. I've seen a couple of great hospitals on Ideas, which shows you can have the most amazing hospital at the size of a modular.